Check Out Some Of The Most Happening B-Town Diwali Dhamakas Of 2018! Every year Bollywood celebrities throw big Diwali bashes. This year as well Bollywood is hosting the big dhamaka fun parties. Starting from November 3, the series started with Shilpa Shetty and her husband Raj Kundra throwing a glitzy Diwali party. The other party worth mentioning is by Shah Rukh Khna. The impressive line-up of guests in these parties included celebrities like Preity Zinta, Jacqueline Fernandez, Karan Johar, and many more. checking into the party hosted by Shilpa Shetty with her rumored boyfriend Rohman Shawl. Arbaaz was also seen with his rumored girlfriend. Other stars present in the party were Aaamir, Kareena Kapoor Khan and Katrina Kaif. Sushmita and Rohman Shawl, a model, were color coordinated in black. The rumored couple gladly posed for the shutterbugs before heading inside for the party. 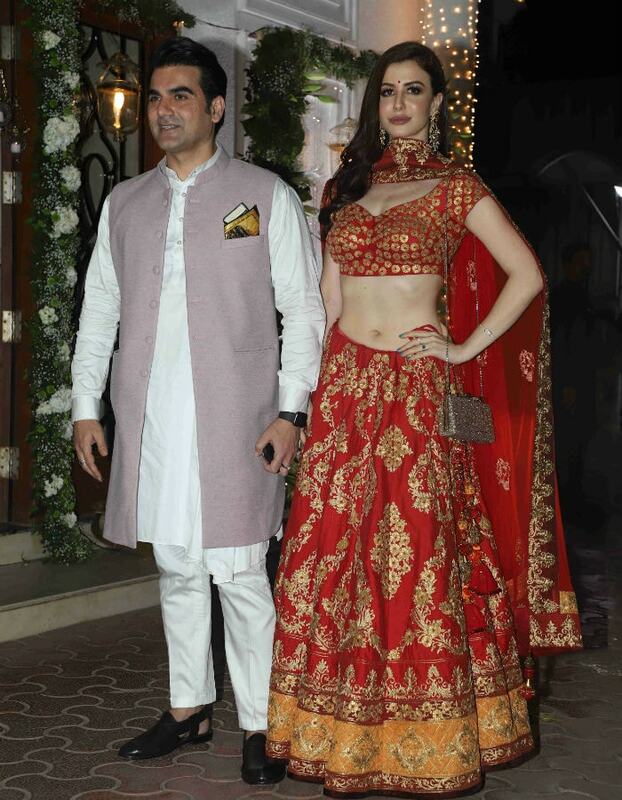 Arbaaz was spotted with his rumored girlfriend Giorgia, who is an Italian model, in the Shilpa Shetty party. Other stars included Salman Khan, Pretty Zinta and Jacqueline Fernandez. The Diwali party at SRK and Gauri’s Mumbai residence means stunning star photos, of course! Gauri hand-picked some of her favorite clicks from Diwali party and shared it on Instagram. The Khan couple was looking royal. Stars in the sky… Happy Diwali! Aliya was seen with Karan Johar. She looked dazzled up in her black traditional attire and Karan Johar added the spark with his style. SRK and Kajol were snapped posing with this cute gesture. Abundant love and affection always…. 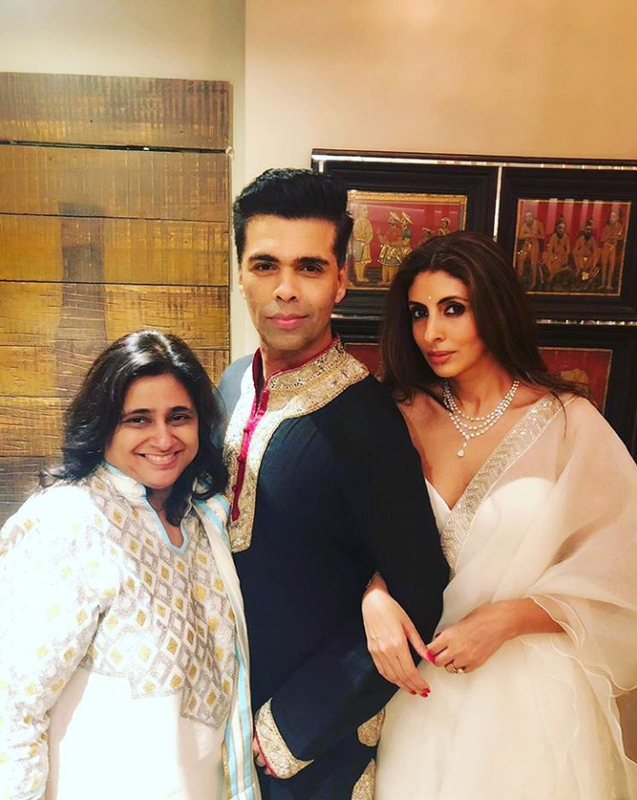 Designer duo Abu Jani and Sandeep Khosla also threw a grand Diwali party at their residence in Mumbai and many big names from the industry attended the party. Rumored couple, Malaika Arora and Arjun Kapoor, were also spotted. Soon-to-be-a-mom Neha Dhupia also came with husband Angad Bedi. Karan Johar was spotted at the event along with Sweta Nanda. The Bollywood parties were star-studded and everyone looked as amazing as it can get. What do you think? Will L.K. Advani Be The Next President Of India? How The 68 Years ‘Young’ PM Is Connecting With Millennial India? Sara Khan’s Lip Job Goes Wrong. Trollers Asked If She Is Copying Kylie Jenner!